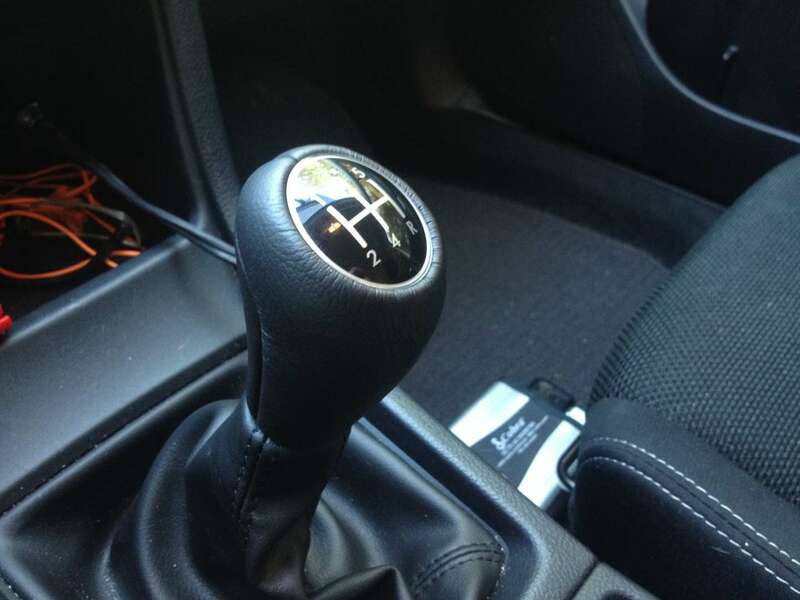 The stock Subaru 5-speed shift knob is rubbery and terrible. 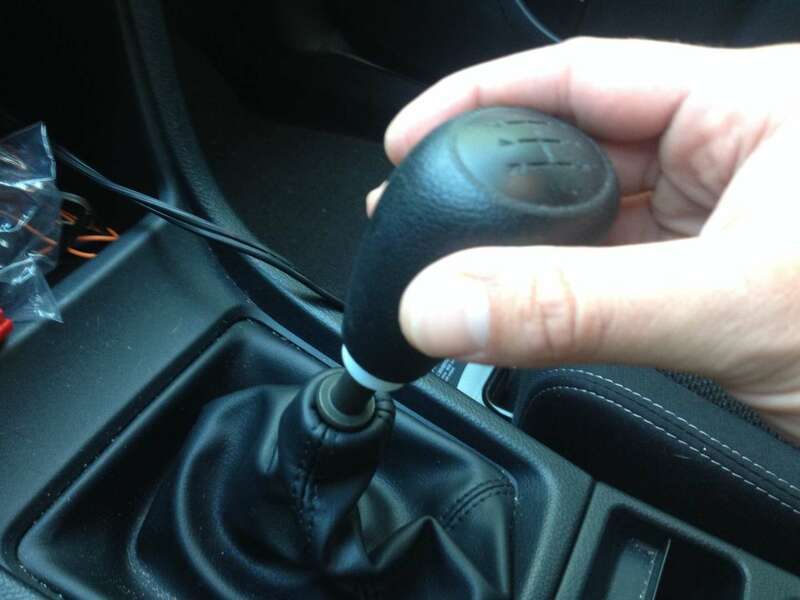 I decided to drop $40 on eBay for an OEM weighted leather knob. 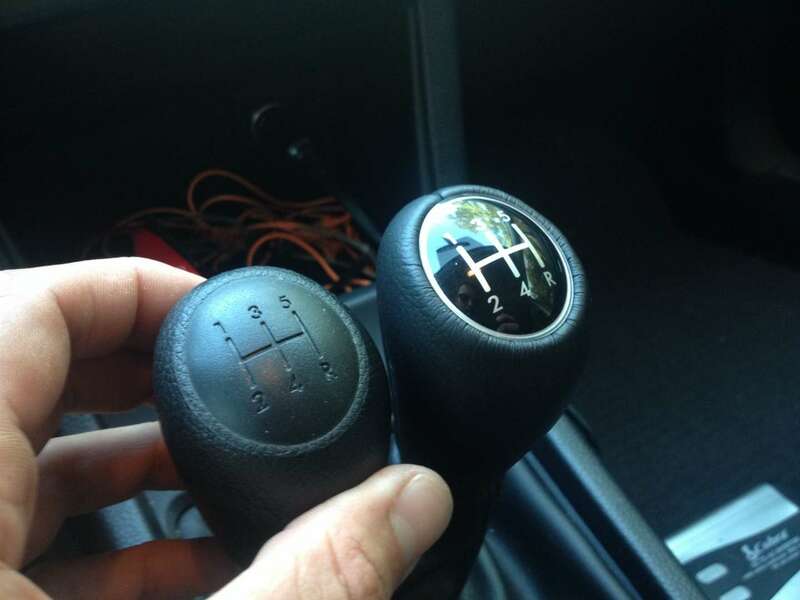 Surprisingly, the rubber OEM shift knob and upgraded leather shift knob were the same weight. Changing out the shift knob takes only a few minutes and resulted in a considerably more pleasant, controlled driving experience. At the top of the shift boot is a small compression cuff. This cuff fits over a collar on the bottom of the shift knob. Carefully wiggle the cuff downwards and away from the shift knob. It requires very little pressure to do so. 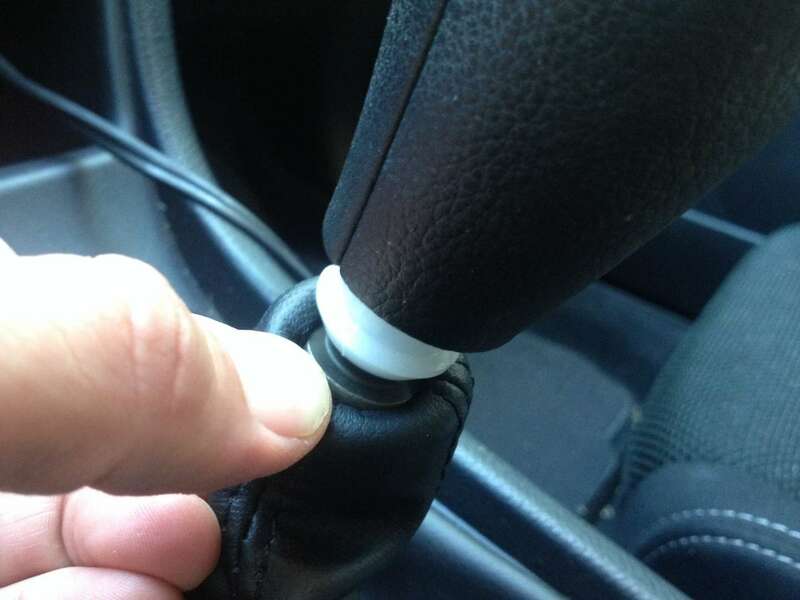 Turn the old shift knob counter-clockwise to remove it. You will need to rotate it about a dozen times to remove it. Assembly is the reverse of disassembly. 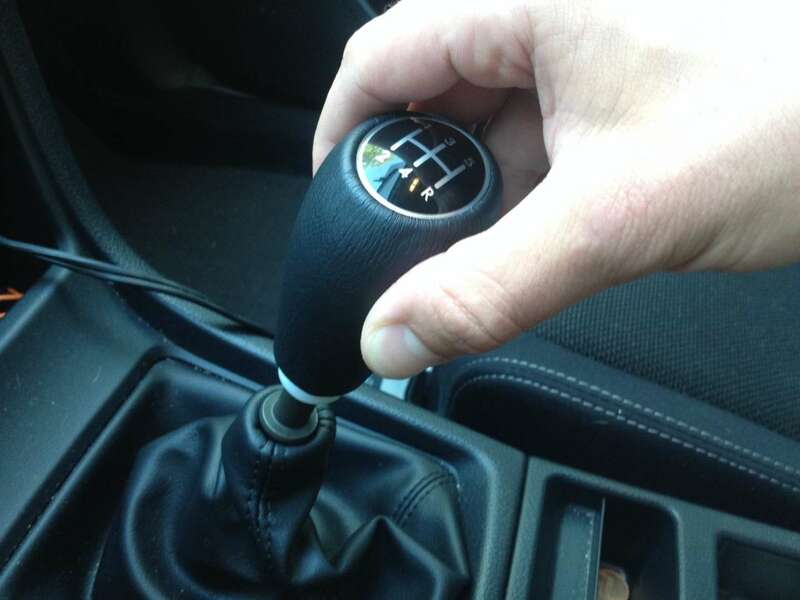 Turn the new shift knob clockwise to install it. 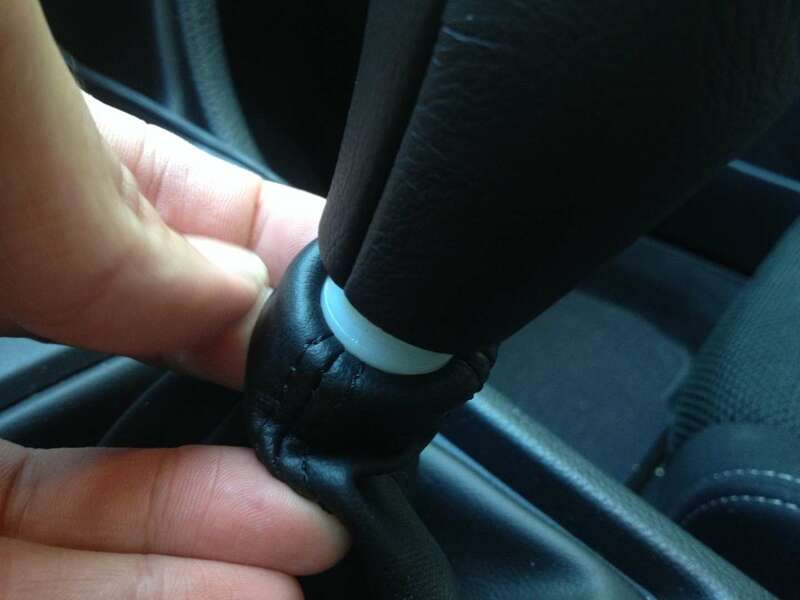 Do not over-tighten the shift knob or you will strip its threads. This shift knob has plastic internal threads and, since it is being threaded onto metal, it has a great potential for stripping if overtightened. Carefully slip the shift boot's cuff onto the new shift knob's collar. Be careful or you will rip the shift boot. This process takes only a few minutes (and steps), but the difference is noticeable. I feel more control over my Subaru and don't have that mushy, cheap shift knob feel which seems to disconnect me slightly from the transmission.